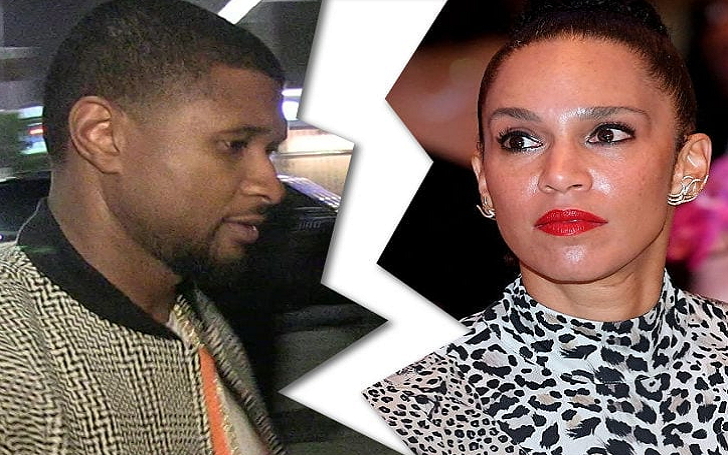 It's officially all over for Usher and Grace Miguel! The R&B singer has filed for divorce for his estranged wife, multiple sources have confirmed. Usher, 40, filed court documents wife in Atlanta, in Georgia on Friday, December 28. According to legal documents obtained, the pair separated on December 24, 2017, and they reached a confidential settlement agreement. The divorce filing news comes nine months after multiple sources confirmed that Usher, 40, and Grace, 49 had got split after two years of marriage. They had announced their split on March 6, with sharing a joint statement with Us Weekly. After much thought and consideration we have mutually decided to separate as a couple. We remain deeply connected, loving friends who will continue supporting each other through the next phases of our lives. The enormous amount of love and respect that we have for each other will only increase as we move forward. The Yeah! began dating the music executive in 2009 shortly after his split from stylist Tameka Foster, whom he married in 2007. Usher and Tameka, 47, share two children, sons, Usher V, 11, and Naviyd, 10. Usher popped the question to Miguel in January 2015 and in September of the same year, they quietly eloped before going to Havana, Cuba for a romantic honeymoon.